Bright, fresh family home with tons of updates - Kitchen with granite counters, thermofoil cabinets & S.S. appliances, a newer bathroom, fresh paint, vinyl windows & upgraded electrical. Living room has a cozy gas fireplace, enjoy mountain & city views. Easy to add a 2nd bathroom in the spacious laundry room. BONUS - Detached double garage/shop (24'9" x 21'3") with 220 power. Tons of parking for your RV & Guests. 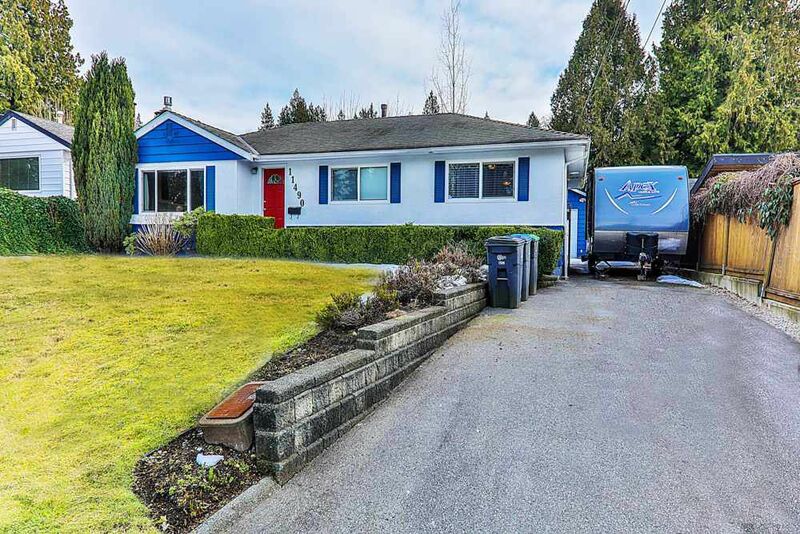 South facing, sun drenched yard is fenced & landscaped with paving stones, 600sqft patio, hedges, fruit trees & planters making this yard ultra private. Location can't be beat - walk to Royal Heights Elementary, RH Park & L.A. Matheson Secondary. Close to transit, shopping, recreation & easy access to Bridges.